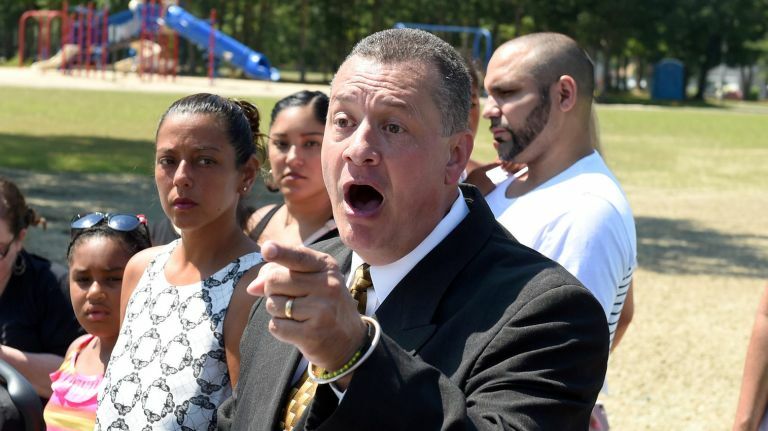 “He’s got extensive community roots and he is an experienced union leader, which will make him a perfect replacement for Monica,” said Richard Schaffer, Suffolk Democratic leader. Gonzalez, 57, of Brentwood, is president of the 800-member IBEW Local 1430 in the Bronx and is active in the Brentwood Chamber of Commerce. He also is a longtime salsa performer who has appeared at Tanglewood and the Hollywood Bowl. Gonzalez made an unsuccessful run for Islip Town Board in 2017, and ran unsuccessfully in a primary against Assemb. Phil Ramos (D-Brentwood) in 2012. Democrats have a significant enrollment advantage over Republicans in the district: 21,176-4,557, with 8,991 unaligned with any party, according to the Board of Elections officials. However, turnout in the district often has been low. District Nine is one of two legislative seats in which minority communities have the best chance to elect a county lawmaker to the 18-member body. The other is the 15th District that includes Wyandanch and North Amityville, now represented by Presiding Officer DuWayne Gregory (D-Copiague). The Ninth District, which includes Brentwood, Central Islip and North Bay Shore, has been represented by a Latino since 2004, after it first was drawn during the reapportionment following the 2000 census. The seat also is important to majority Democrats, who have a bare 10-vote majority since Martinez’s exit. A Republican win would deadlock the legislature 9-9. William Garbarino, Islip Republican chairman, said the party has four or five possible candidates under consideration, although he declined to identify any. Garbarino said a candidate screening was planned for Wednesday night and a convention is scheduled for Saturday. Sources say possible GOP contenders include Debra Cavanagh, chairwoman of Islip Community Development board; Tom O’Hara, a veteran party official from Brentwood and a retired Suffolk emergency services official; Manuel Troche of Brentwood, a volunteer firefighter and member of the Islip Community Development board; Mohsen Elsayed of Brentwood, a GOP Assembly candidate in 2010; and Manny Vidal of Brentwood, a community activist and civilian employee in the Suffolk County Police Department. The deadline for naming party candidates is Monday. While there are no primaries in special elections, those without a party endorsement can qualify for the ballot by filing at least 806 valid petition signatures by Jan. 16. Frank Tinari, Suffolk Conservative chairman, said neither major party has yet asked the minor party to screen their candidates.